Neuro-Navy: Potential advances in cognitive functions, combat career screening, and treating combat-stress injuries. In my current capacity as a military student, one of my requirements is to complete a master’s thesis focused on future warfare. This year I have decided to write on the implications of future neuroscience developments and the impact on naval warfare, (up to ~15 years out). Below is my thesis proposal, which I submit to your view in the hopes of starting a conversation. I look forward to your comments and further discourse. Proposed Research Question: How will advances in neuroscience improve naval capabilities? Proposed Thesis: Future advances in neuroscience research and development will improve naval capabilities in both the cognitive executive functions of decision makers and enhanced situational awareness through a melding of neurotechnology with biological sensory. Discussion: Many discussions on the fog and friction of war relate to the common denominator of the human mind. Despite advances in unmanned and autonomous technology, the basis of all military strategy and campaigns is the ultimate execution by military personnel, reliant on cogent decision-making. 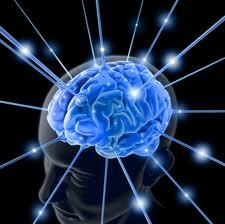 The field of neuroscience has seen drastic growth in the last decade. Exceeding its biological origins the field has exploded, infusing research with psychics, psychology, medicine, and computer science – to name a few. Through studies of the nervous system at numerous levels (functional, cellular, sensory), future neural research is gaining interest beyond traditional scientific communities and the implications for military development should be explored. The continued research into genetic and environmental aspects of neural systems and decision-making explore the processes of the human nervous system and interaction with cognitive executive function. Through future neuroscience development, naval forces may be able to apply new technology and biological understanding to effectively screen young military leaders to categorize individual cognitive strengths and weaknesses. The ability to place these leaders in appropriate career positions may improve naval warfare communities that continually operate in high-risk environments. Furthermore, the ability to track cognitive weaknesses provides the opportunity for the naval training organization to produce brain fitness programs to improve these areas. With the future development of cognitive screening, naval forces could develop programs (such as DARPA’s Enabling Stress Resistance program) to mitigate stress through behavioral and pharmacological interventions. The increase in this screening, combined with advances in neuropharmacology, will allow naval forces to complement battlefield simulators with individual-oriented stimulants, to increase the stressors on combat decision-makers while in a safe environment and approach a real-time fog of war. Neurotechnology may also provide enhanced human intelligence analysis, through the development of brain-signal processing linked to visual intelligence as it occurs. This capability may increase the speed and accuracy of image analysis and improve operational assessments. 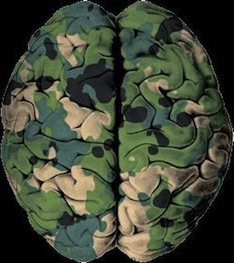 In addition to cognitive development, the field of neuroscience may provide enhanced manpower recovery options to deployed expeditionary forces. Advances in clinical and evolutionary neuroscience are improving current naval medical corps’ ability to identify, diagnose, and treat PTSD. Continued research could produce an expeditionary force capable of preparing forces not only upcoming combat stressors, but follow-on operations that require increased time on station. The ability to prevent PTSD and keep military personnel on the battlefield will provide an advantage in future protracted conflicts. Future developments in prosthetic limbs, linked with effective neural links, will advance an operational force commander’s ability to limit his reserve force, assuming his naval ships have the capacity to treat injured personnel afloat. Lastly, the possibility of employing non-kinetic neuro-weapons, developed in the field of cellular neuroscience, to make the enemy to believe that operations have occurred (pseudo-feint) may provide naval forces an advantage when planning major operations. The enemy’s belief that the war is lost may be enough for the friendly forces to declare victory – or further tactical/operational goals in the interim. The capacity to develop and employ such a weapon is worthy of further research and discussion. A.J. “Squared-Away” is a husband, father, and U.S. Navy Surface Warfare Officer. He has deployed on patrol boats, destroyers, and aircraft carriers to the Mediterranean, Persian Gulf, and aboard Iraqi oil terminals. He is currently a student at an advanced military warfighting school. The opinions and views expressed in this post are his alone and are presented in his personal capacity. They do not necessarily represent the views of U.S. Department of Defense or the U.S. Navy.